For Easter, go egg-hunting in Shanghai! 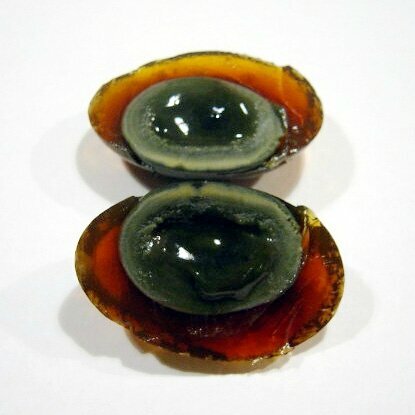 This sort of preserved egg has nothing in common with the fertilized duck eggs that one finds in the Philippines (“ballut” in Philippino) or in Vietnam. It is actually more often used as a condiment than a single dish. 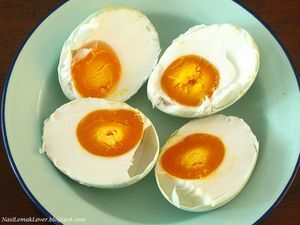 There is no reason to fear this kind of egg: it contains nothing that can hurt either your stomach or your sensibility. This black coloured egg is often cut into small pieces and mixed in a congee (hot water with rice) or with tofu in some Shanghainese dishes. The dark transparent colour is actually obtained by maceration of the egg in a mixture of clay, salt, lemon juice and ash to preserve it. For this reason, it is too salty to be eaten alone and is used to add flavour to some simple dishes. There are other kinds of eggs sold in China, such as tea-eggs, most of the time sold in parks or local shops, next to the boiled corn or hot fish balls. 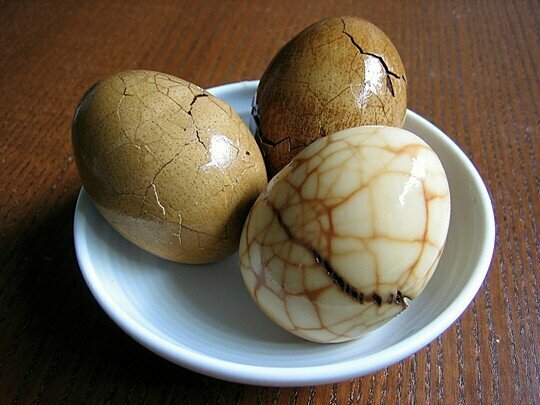 The last very famous preserved egg is called “Xiandan” (salted goose eggs) and can be bought on Shanghai markets. As they are high in cholesterol, you should not be eaten them too often. To know more about Chinese culture and its its daily treats, feel free to join one of our Shanghai Culture Tours. I will be delighted to take you on the streets, talk with locals and discover together some of the Shanghai secrets. I wish everybody a Happy Easter! Commentaires sur For Easter, go egg-hunting in Shanghai!